Like myself, many people have grid-tied solar power generation and also like me, I suppose that many people are doing it wrong. With a typical grid-tied solar system, the solar inverter converts DC power into 240V AC which feeds directly into the grid. Using a net meter, the power company will credit you something for any power that you don’t immediately use. After those electrons leave your house, your ability to understand how that power is being used disappears. Your generated power may be used by one of your neighbors to power an inefficient incandescent light bulb where 95% of that power will be wasted. For ethical reasons, it may be best for you to use the power you generate yourself. In the very least you’ll be able to control how the power is used towards more personally valuable objectives. There’s also economic reasons. Many electric companies will only credit you for the energy you generate per kilowatt-hour. Only part of your bill is energy consumption. The other part of your bill is transportation fees per kilowatt-hour. The electric company may not credit you for these fees when you gift the grid your power. How do I use more of the power I generate? The simplest, but most expensive, is to couple your solar system with a battery system like the Tesla Powerwall. A battery system can allow you to offset when your generated power is used. You charge the battery when you would normally be gifting the grid and you use the power later when you need it. A large battery system can cost tens of thousands of dollars, however, and the payoff length is long. Some estimate 30-38 years. My goal was to start smaller, work up, and see if we can not only build savings over time. I started with the goal of charging my phones from battery. This is pretty simple. I purchased a large 3.7V lithium-ion battery for $90. This battery is a pack of (21) 18650 cells in parallel. The total capacity is 40 Ah or so. To charge it, I picked up a pack of 10 TC4056A charging chips for $10. Putting two in parallel allows me to charge at 2A via USB. Many USB chargers won’t go over 2A, so that’s slow, but fine for now. These also offer over-current and under-voltage protection. Bonus. 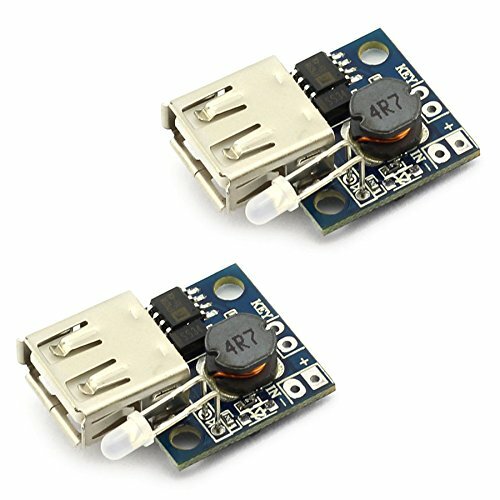 I need to boost the 3.7 volts up to 5V to charge USB devices so I bought some 3V to 5V USB boost converters that can charge up to 2A each. Using this $110 battery setup, I can charge almost all the phones in my house. I also use it to charge our fitness watches, and anything else that charges over USB. Using it to charge my two kid’s phones, I save about $0.06 per month. That’s not very much. If I can utilize the entire 40Ah of the battery, I can save around $0.53 per month. There’s only so many USB (type A) devices in my home, however. My phone and my wife’s phone are USB type C. These devices can charge at 5V 3A. Furthermore, I have a laptop that also charges via USB type C. This time, it’s at 20V 2-3A. How do I charge those off a battery? There are already aftermarket batteries that charge both USB type A and type C devices. Each of these however comes with unique flaws that make it unusable for my purposes. I have a 10Ah battery and a 20Ah. The 10Ah battery made by Anker can power up to two USB type A devices at 2A but will only do so after you hit the power button on the battery. It’s not automatic. The 20Ah battery, which has one USB type C port, is similar. It won’t charge until you hit the button, but worse, it will not charge devices and allow itself to be charged at the same time. The 20Ah battery also only charges type C devices at 5V. This won’t work for my laptop (which alone could save at least $0.16/month if powered off-grid). We need a type C charger that can be powered off a battery, and charge up to 20V. I’ve searched for years trying to find one that can charge 20V. 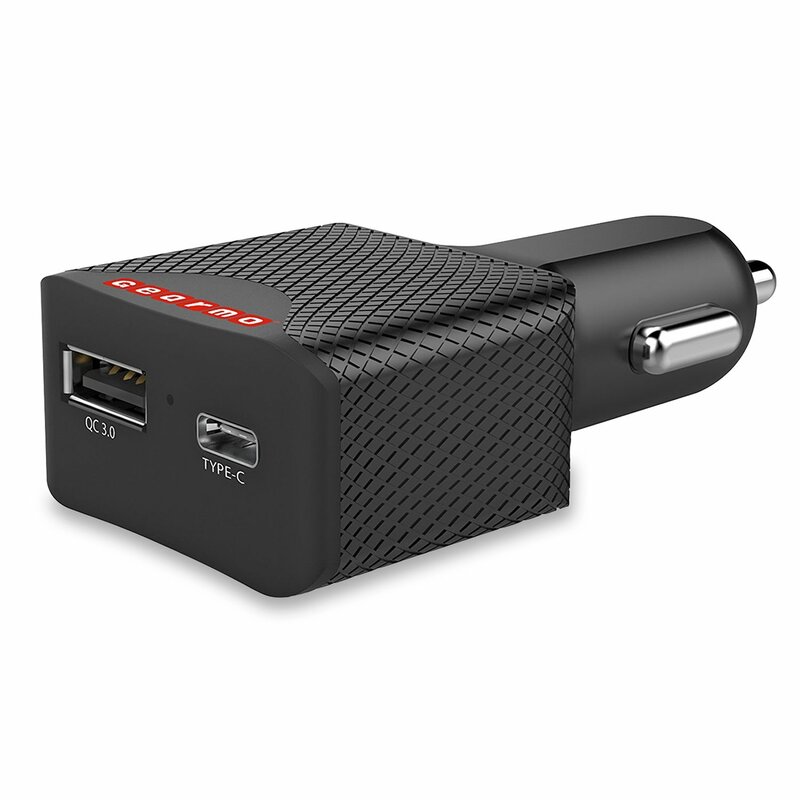 There are many DC-DC Type C chargers made for vehicle charging of phones. These typically come with both a type C and type A charging port. Some can even charge at voltages as low as 2.6V (Tronsmart). This one will work perfect for phones from my 3.7V battery. After much searching, I finally found one that charges my laptop made by Gearmo. It claims to support up to 60W on the type C port. I’ve tested it with my laptop and seen it do 40W. The point is, it works. I have to supply 12-24V to this adapter, however. My 3.7V battery won’t cut it. I had about (16) 18650 laying around that I made into a 16V battery. I configured it with four in parallel, and four in series (4S). Each cell is 2000mAh so in total it’s about 8Ah or 118Wh (8Ah * 14.8V). This is almost three times that capacity of my laptop. To charge this, I spent $30 on a 700W+ Drok power supply. I charge this battery at 5A. I’m also using a Drok 4S battery protection board so I don’t kill the battery with under-voltage or over-current. So now all my phones, most of my USB devices, and my laptop are all off-grid now. How much do I save? About $4.34/year. Ouch. That’s nothing. What else can I save (future plans)? There are actually many things that use voltages in the 5V to 12V range. My stair lights are 5V. My garage and front door lights are too. Those use APA102 LED strip lights. Those lights can consume up to 40W, but typically are around 10W. If I can power those off of battery, that’ll save me about $20/year. Now we are getting there. I have several 12V devices as well. I have two wireless access points. Those can consume up to 46W each and are on 24/7. These end up being the biggest pigs so far. Almost $100 in savings. These, however, have a maximum power usage of 1.1kWh. Our little 16V battery is only 0.12kWh. We need more batteries. We only have to power these from battery during non-solar hours. So the battery bank that powers them should be at least 500Wh. Batteries made for electric vehicles can be purchased at pretty good prices. There are dozens of videos on youtube of people using Chevy Volt batteries, Tesla, and even Nissan Leaf batteries for off-grid projects. The Nissan Leaf battery is in a 7.4V configuration and is about 33Ah. Two in series gives me 14.8V and about 0.49 kWh of storage. That’s almost enough. I picked up two of these a while back on ebay for around $100 each. I plan on getting a few more later. In the end, how much will I save? With just two, plus my other two battery banks, I estimate I can save almost $115 per year. My total cost is close to $500 but may be close to $800 when I’m all done (two more batteries, wiring, DC converters). That’s a 5-8 year payoff. Not bad. Much better than the 30 years of a much more expensive unit. This setup really only works if we have the available solar power to charge our batteries. Since not everything in the house is going to be powered from the batteries (like the HVAC system), we need to take those devices into consideration and be smart about when we charge the batteries. I figure that in total, these 5-12V DC devices amount to about 2.7kWh usage. In the dead of winter, my solar system does about 4.4kWh a day average. We have power to spare, but if we really want to save, we need to only charge the batteries when there is excess available power on top of the devices already being powered. More on that in part 2 of this series. Once my first raised bed garden is happy producing food I started planning the next raised bed. It was to be an 18 inch wide and up to 16 feet long bed in the Mittleider tradition. However, while watching youtube videos about people using the Mittleider method, I became inspired to try and extend my growing season -perhaps even year round by using the earth as an energy storage system (aka, a battery). Each gram of wet soil can hold 0.35 calories of heat energy. At depths from 4ft to 6ft, the soil is far enough down to be insulated from the air above and maintains a year-round temperature from 55 to 60 degrees F. Many residential and commercial buildings utilize this almost free energy and feed it into heating and cooling systems that would normally be pulling from less optimal sources such as trying to cool air from outside during the summer time or trying to heat cold air during the winter. I started researching methods of accessing this geo energy. After digging around on youtube some more, I found several systems that blow air through the ground via tubes and back into the greenhouse. The air would be heated by the sun and then some of that energy would be transferred into the ground where it can be used during the night. Air, however, is a poor conductor of energy at about 1/4th the specific energy as water and less than the soil itself. So I wondered if there was a better way. Water has one of the highest specific heat properties of any medium. At first I thought about pumping water through a radiator and warming or cooling air via that method. However, it occured to me that the system could be much simpler. During warm days, a common method of cooling the plants is to water them. The plants, via the roots then become cool. The same principle should be possible with heat as well. If the soil temperature is maintained, we may be able to keep the plants happy. Can water be used to heat/cool the soil directly? Yes! An efficient way of heating businesses and homes has been in-floor radiant heating. The method pumps hot or cold water through PEX tubing in the flooring system. The warm/cool floor then heats or cools the ambient air in the room. To make a long discovery process short, I decided to combine these methods. I will pump water into the earth and cool a 12 ft by 18 inch bed directly at the root level. To insulate the bed, I’ll put a double layer 6mm green house film around it. The hope is that I can keep the temperature around 50-60 degrees all year (+20 degrees in the winter). Can it be done? Let’s find out.